More experimenting with beads in patterns. 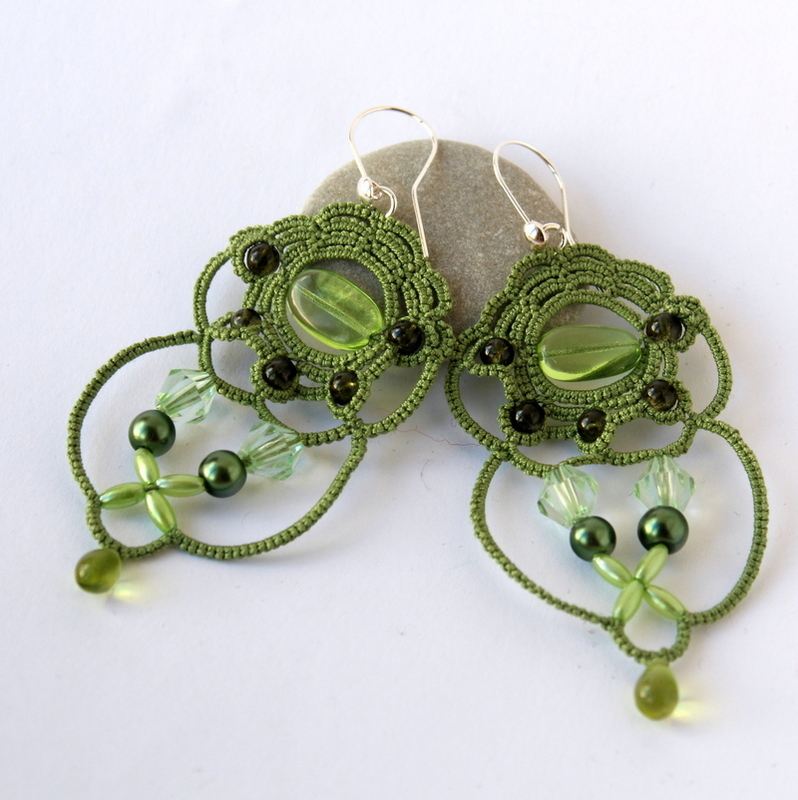 Free-form tatting – implementing ideas as they come to my head. 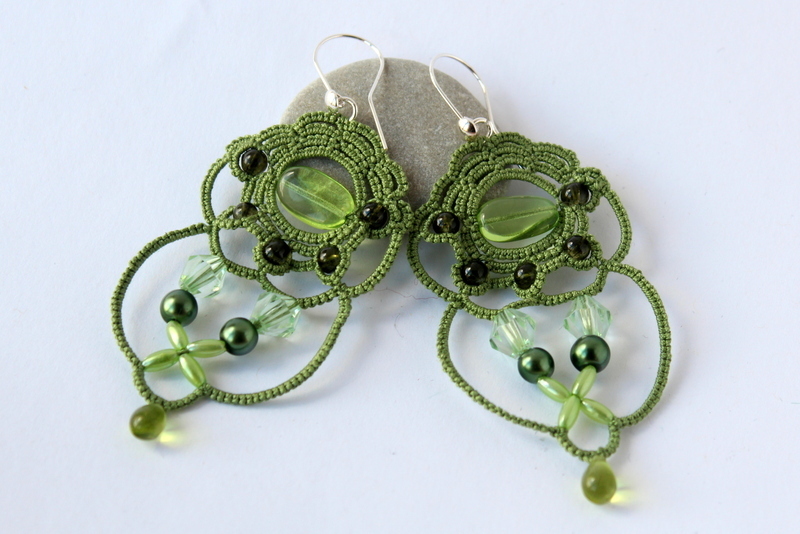 Shuttle tatted earrings with glass beads and sterling silver ear-wires.